1. What is all in one solar street light with motion sensor? The Solar Street light with motion sensor is an intelligent outdoor lighting system that provides powerful lighting into an all-in-one compact package and is easy to install. During the day the highly efficient solar panel collects energy from the sun and stores that power in the advanced lithium battery. At night the powerful LED's automatically turn on providing ambient light for all to enjoy. When motion is detected the super bright LED's increase in brightness to provide an abundance of extra lighting for anyone in the area. After 45 seconds or when motion is no longer detected, the light drops down in brightness to conserve power. 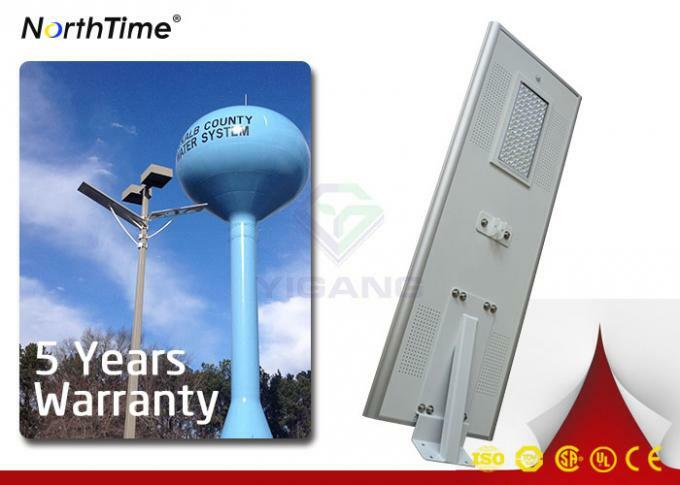 This intelligent feature allows The Solar Powered Streetlight to save power when no one is in range or utilizing the light, meaning a much longer run time than you would expect from a similar size solar lighting. The motion sensor is the practical way to enjoy brighter than normal light when extra lighting is needed. 2. 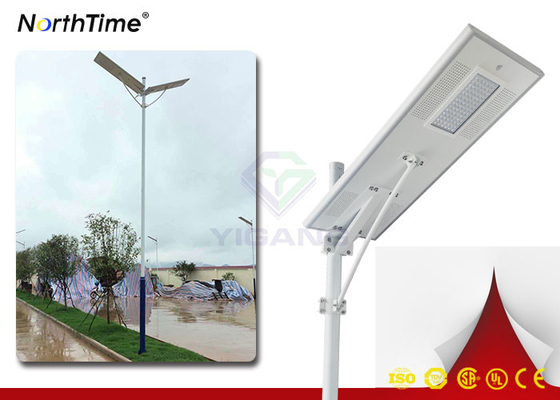 What we can offer for all in one design solar led street light? (1) Integrated design without electric line. (2) Using solar power, LED lighting. It is the perfection with solar and LED. Saving energy and protecting global sources. (3) Using high power capacity and long life LiFePO4 Battery, to ensure the lifespan. It has great high-temperature feature. 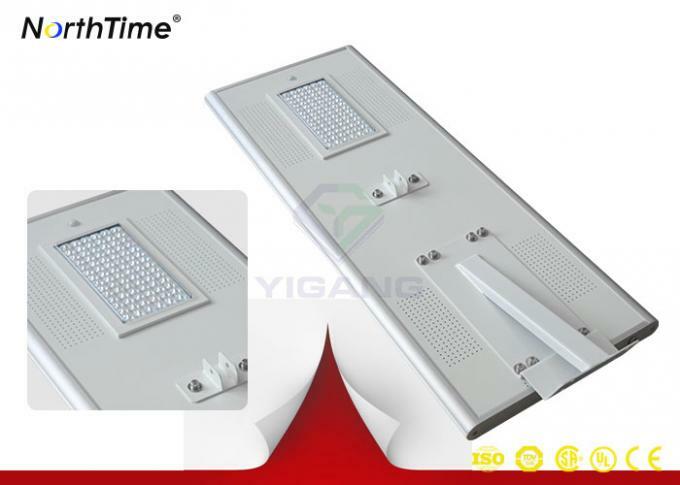 (4) Dust and Rain-proof structure IP65. (5) Main structure is made by aluminum alloy material for anti-corrosion. (6) It has infrared ray inductive probe, when someone is approaching, the light will be all light for 60 seconds. But when the people is leaving away, the light will be reduce 30% lightness automatically, to save the energy. 5. Why choose us - Yigang Technology ? (1) About 8 years specializing in solar lighting system. (2) Complete supplying system with full range of all in one solar street/garden lights. (3) Strict process and quality control. (4) Good raw materials used in production. (5) Strong design and production capability. 3) Customized design is available. 4) Shipping port: Shenzhen, China. 5) SAMPLES are prepared. Discounts are offered based on order quantities.